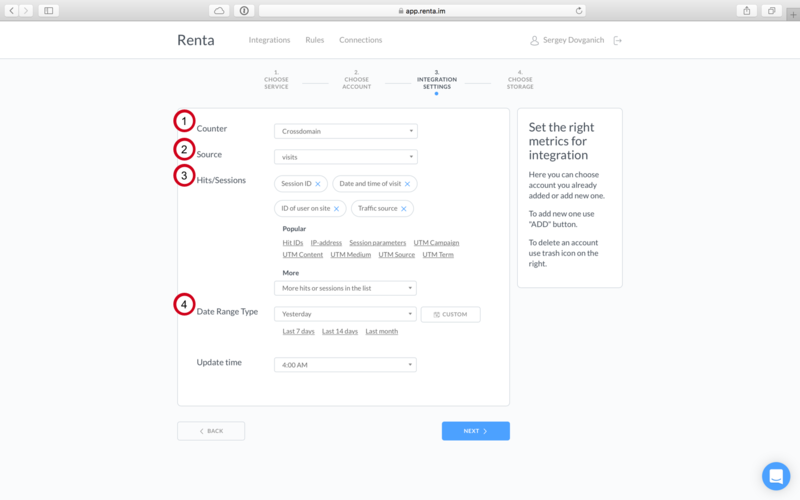 Renta automatically downloads not aggregated data from Yandex.Metrika using Logs API and allows to save them in Google BigQuery, Clickhouse or SQL Server. We should note that due to the specificity of Yandex.Metrika data structure we suggest using Clickhouse because of its capabilities of working with data massives. 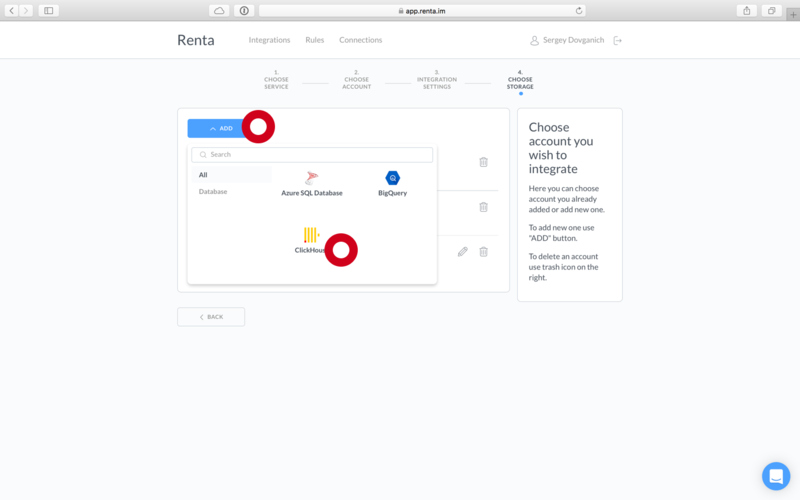 Renta also supports uploading data from Google AdWords, Yandex.Direct, Facebook Ads and other services to Clickhouse. That will help you in just a few minutes to collect all necessary data for your marketing analytics tasks. After a successful authentication you need to create an integration. Select Yandex Metrica Logs API. 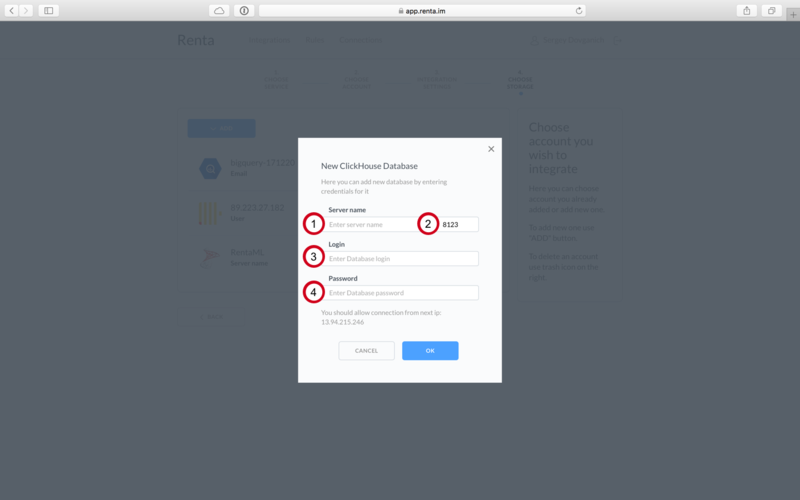 Then you need to sign in using an account where you need to get the data from. It can be done with just a few clicks. After than the Yandex authorization window will open. Type in your login and password. Then your account will be available for choosing. 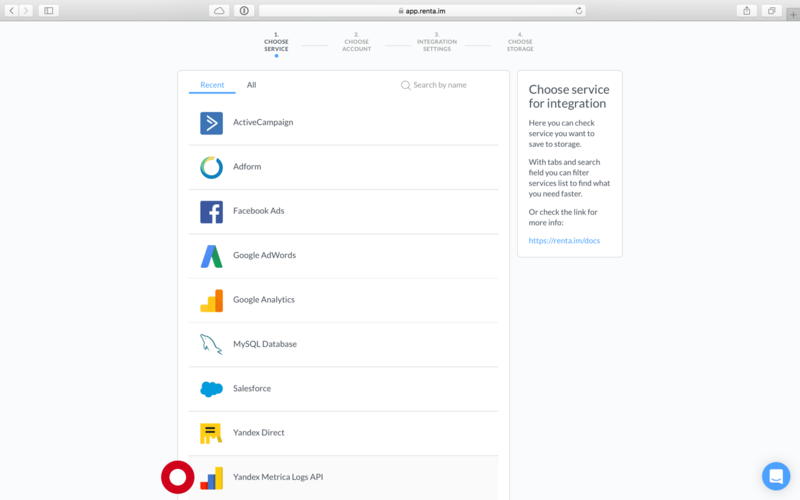 As the third step, you need to specify the integration settings. Data type: sessions or hits. The period for which you need the data. If you select Yesterday as the end date, then the data will update automatically. And each morning at 4AM is set as the refreshing frequency. As a final step we specify where to save the selected data. For that you need to add the database. Click on the Add button and select Clickhouse as the database. Then a window for adding the Clickhouse server will appear. After the Clickhouse server is added, it will be available for selection. An integration will automatically start right this moment, and the data upload will begin. 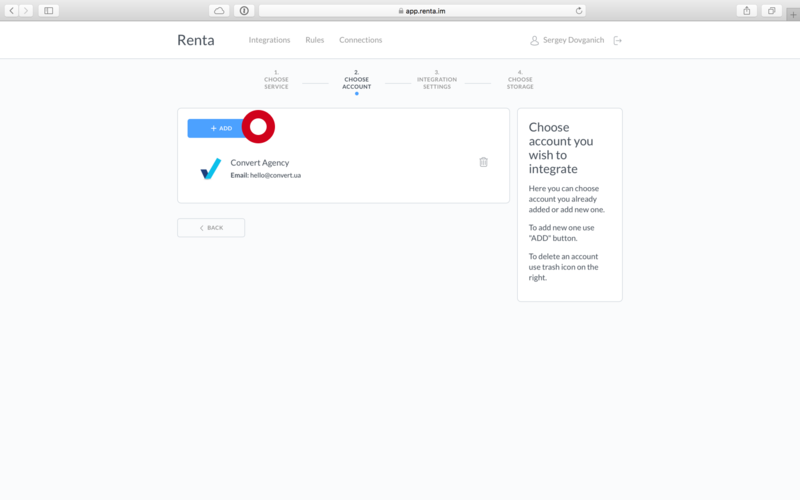 Renta will automatically create the new database. If Google BigQuery or SQL Server are selected as the data storage, then all massives will be recorded in the string format.